There are so many gorgeous features of the lounge. There’s seating for more than 230 customers to relax, work and dine before their flight, split over two levels with views of the airfield. 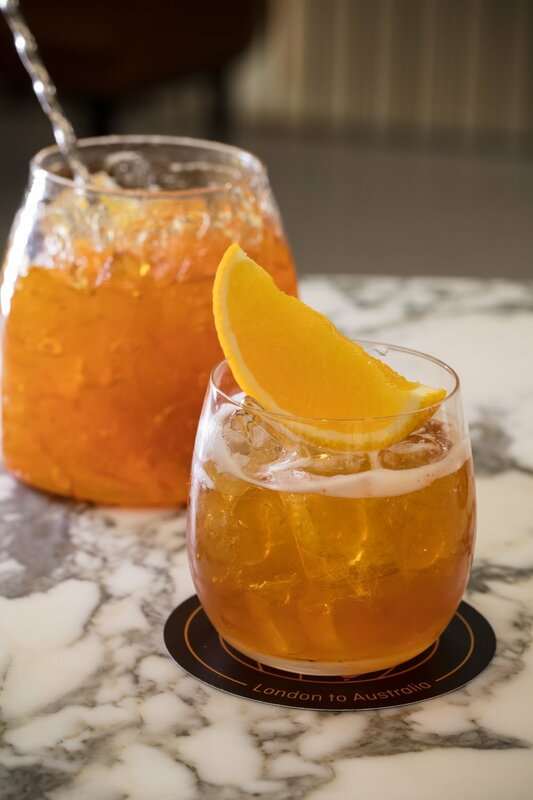 The lounge follows the same concept as Qantas’ international lounges in Hong Kong, Singapore, Los Angeles and Brisbane, with the food and interior design taking inspiration from the local region. Designed by Woods Bagot, the interiors reflect London at twilight with deep greens and rich blues throughout the furniture, while warm-coloured timbers, stone and brass represent the historic architecture of the city. · The signature salt and pepper squid with green chilli sauce from the Qantas First Lounges. The business facilities include Wi-Fi, flexible work spaces and workstations. Six shower suites with Aurora Spa amenities will keep flyers fresh and the new range of Noritake crockery by David Caon and a collection of tea cups and saucers by Miranda Kerr for Royal Albert, complete the offering. 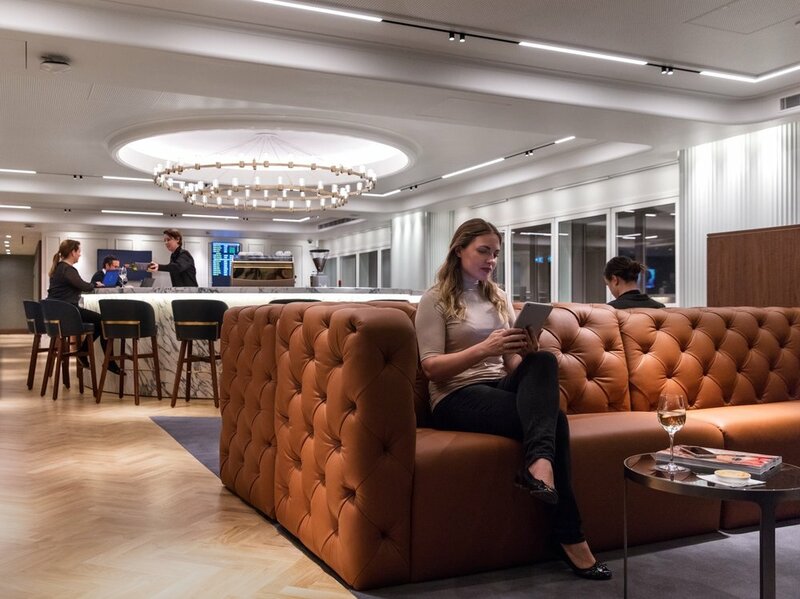 In the last three years Qantas has built or refreshed nearly 30 lounges across its international and domestic network, with several other projects underway. Qantas has started building the new Melbourne Domestic Business Lounge and Qantas Club and the Perth International Transit Lounge will open in March. Located at London Heathrow Terminal 3, the Qantas London Lounge is open daily from 8am – 8:30pm to Qantas customers travelling in First and Business and Qantas Platinum One, Platinum and Gold Qantas Frequent Flyers and their guests. It is also open to eligible oneworld Emerald and Sapphire customers, Emirates Skywards Platinum and Gold customers and Qantas Club members and their guests.